St Louis Bankruptcy: What If I Can’t Pay All Of My Medical Bills? Sometimes the amount of medical bills can pile up so high that it seems impossible to handle. The cost of medical care these days is immense. And trying to stay on top of these bills (along with everything else in life) can be very difficult to manage. In fact, a very large number of the bankruptcies filed each year throughout the country are directly related to unending medical bills that the individual has no chance of ever paying. For instance, if you have a major medical procedure done (like a complicated surgery), the cost of this service is usually through the roof. And then of course there are very often secondary procedures that have to be done, follow ups, and associated costs such as prescription drugs and other medical supplies. When you add all of that up, the overall cost is enormous. Sometimes into the hundreds of thousands range. Looking at such a bill can cause your eyes to bug out of your head!! But there is a remedy for this kind of situation: St Louis bankruptcy. In a Chapter 7, all unsecured debts (whether it is credit cards, medical bills, payday loans, or anything else) is all knocked out forever (as if the debts never existed). In a Chapter 13, there is a chance that some of the unsecured debt would be paid back (but the goal is to get the vast majority of it discharged as well). Either way, the goal is to put you in a much better financial position in the near future. Most people, after filing a bankruptcy, can expect to see their credit score to bump up by about a hundred (100) points within the first year (and then back up to where you really want it within about a year and a half to two years down the road). So not overnight; but a lot sooner than most people think. 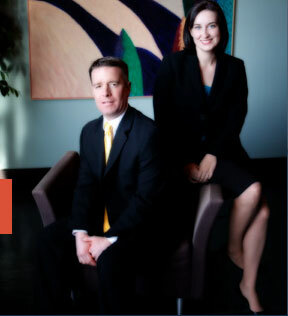 Our firm wants to answer all of your questions, ensure that you fully understand your rights and options, and to help guide you through the entire process from start to finish!! We want to help get you the relief that you need!